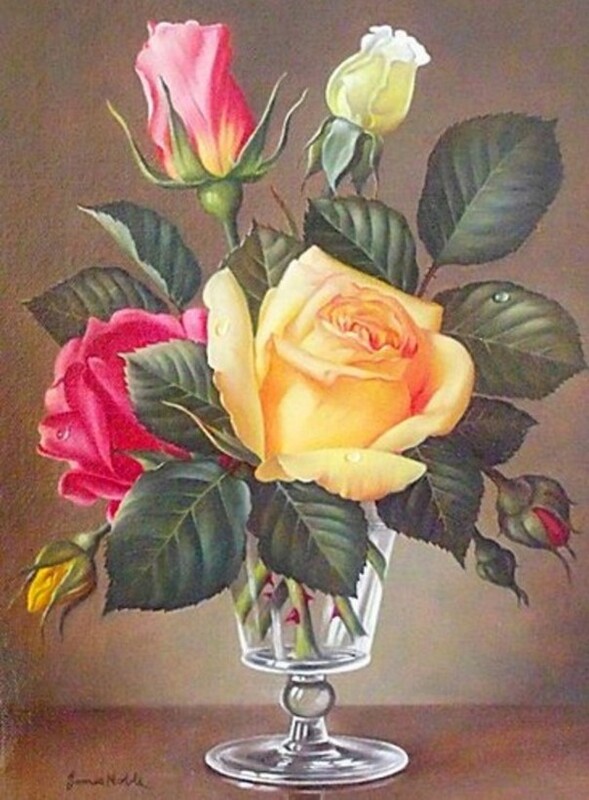 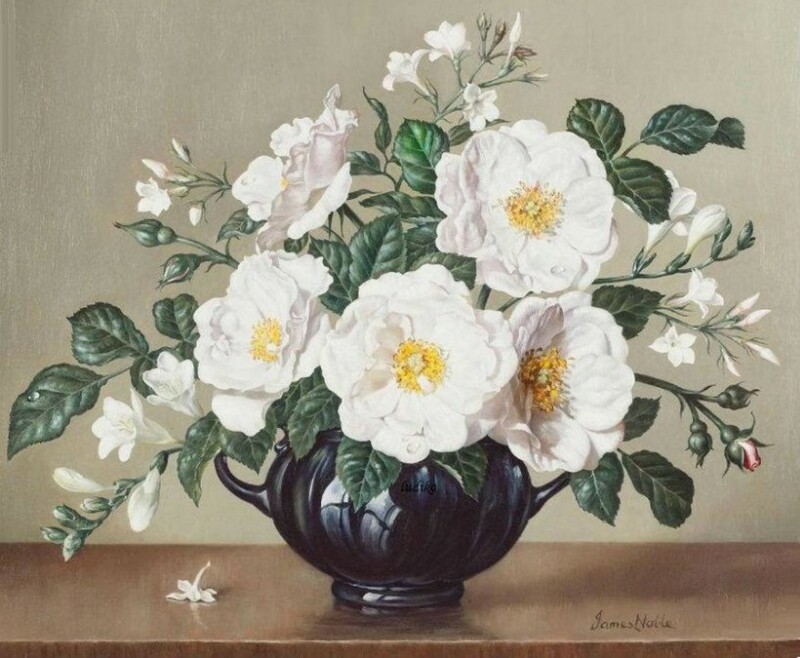 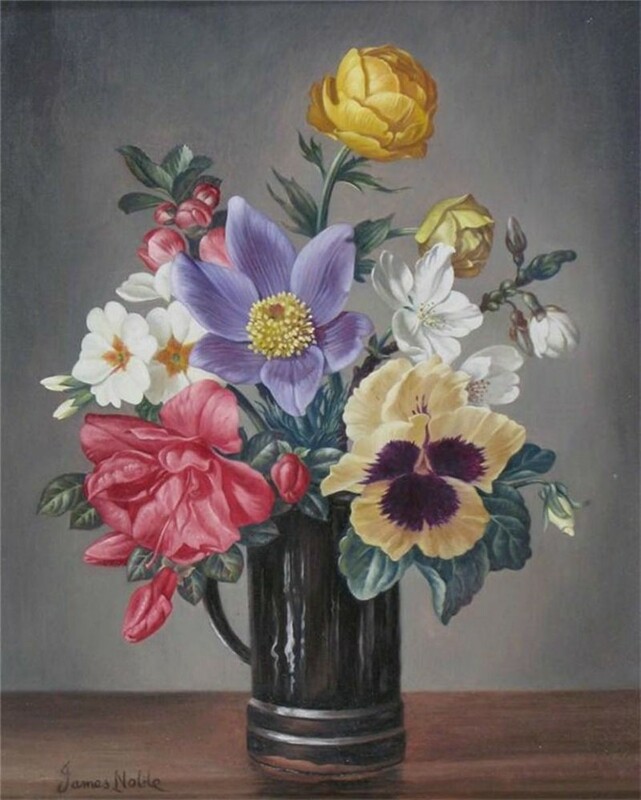 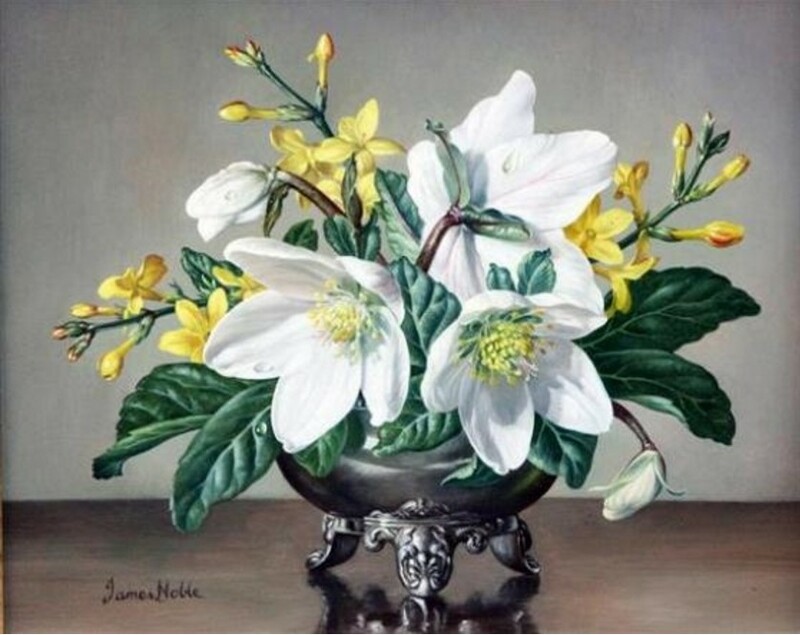 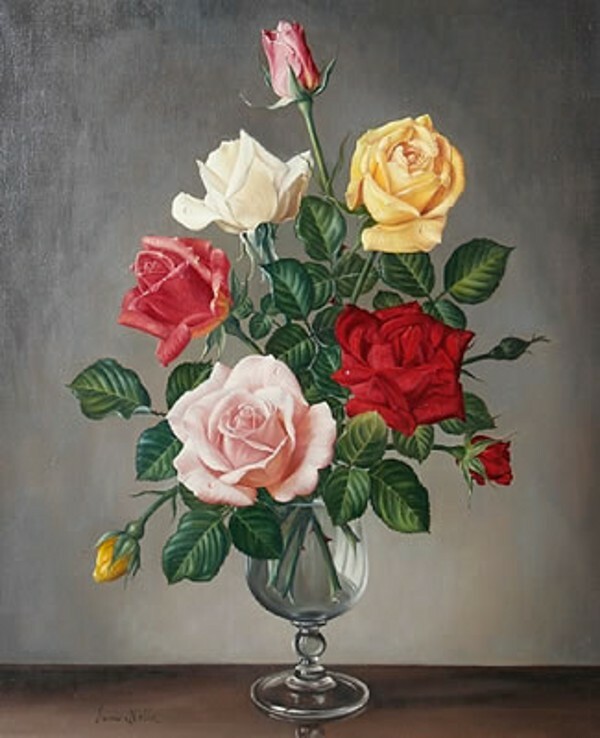 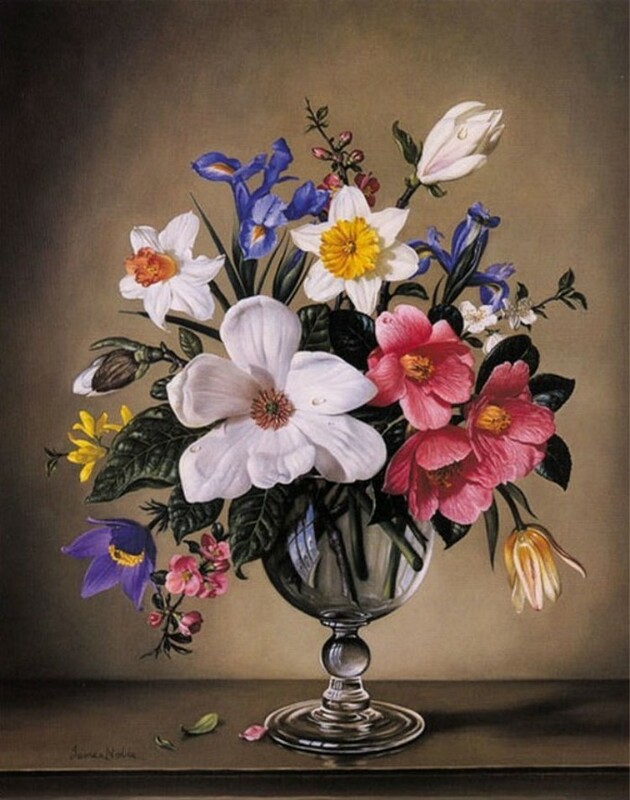 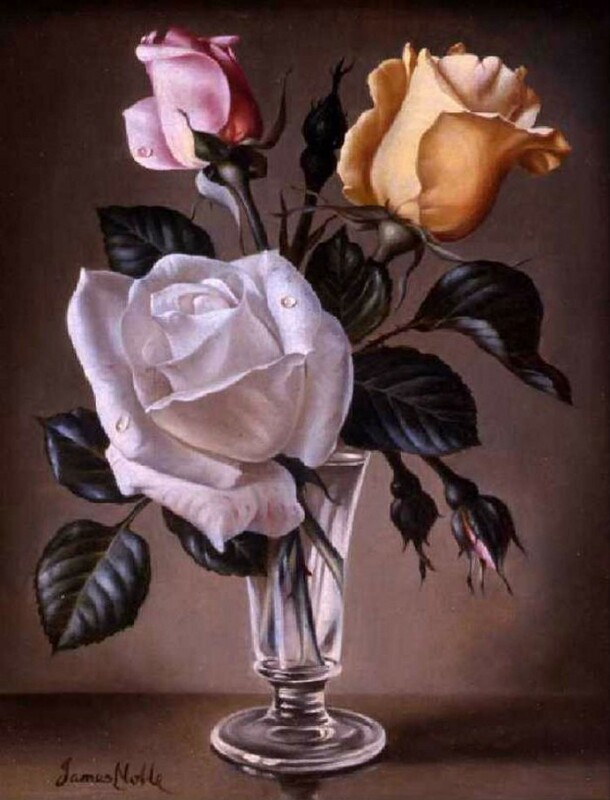 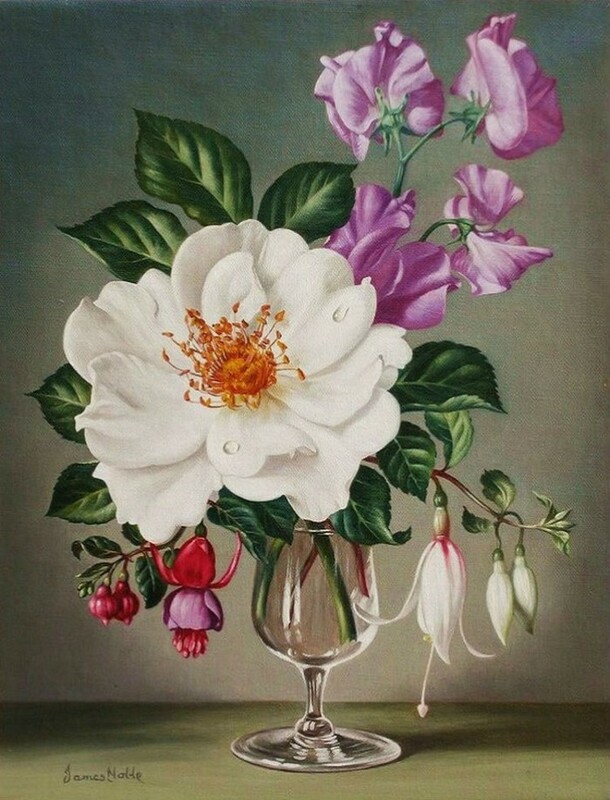 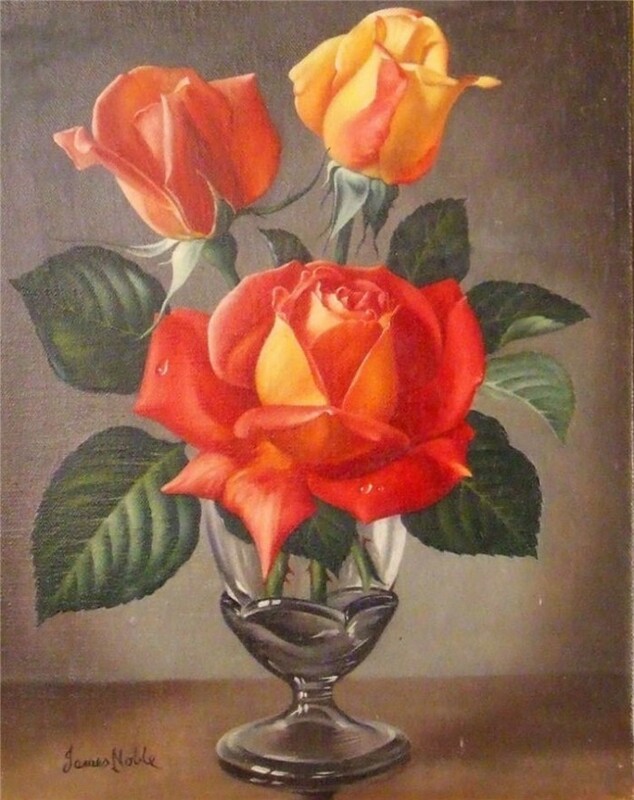 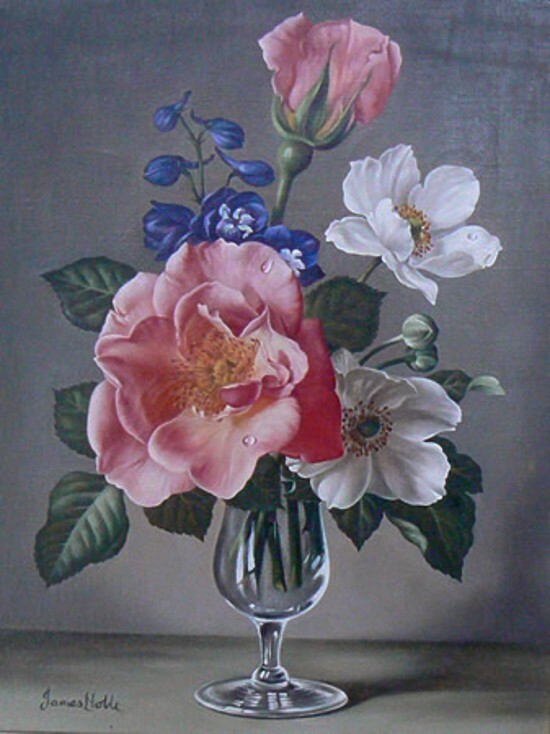 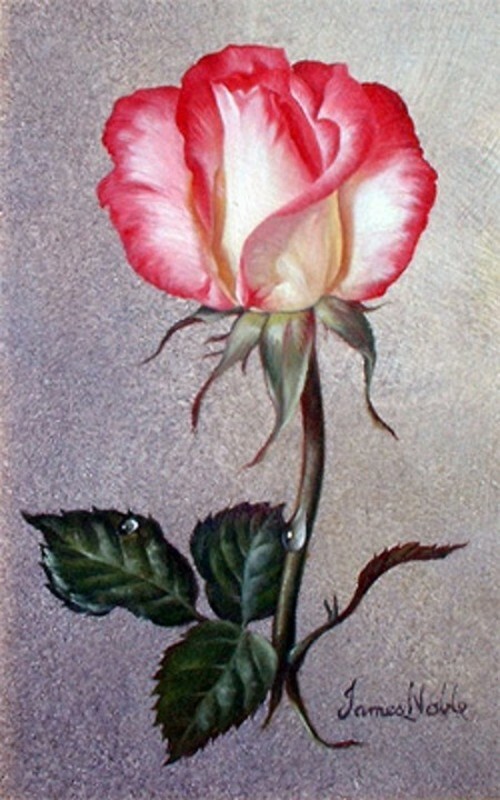 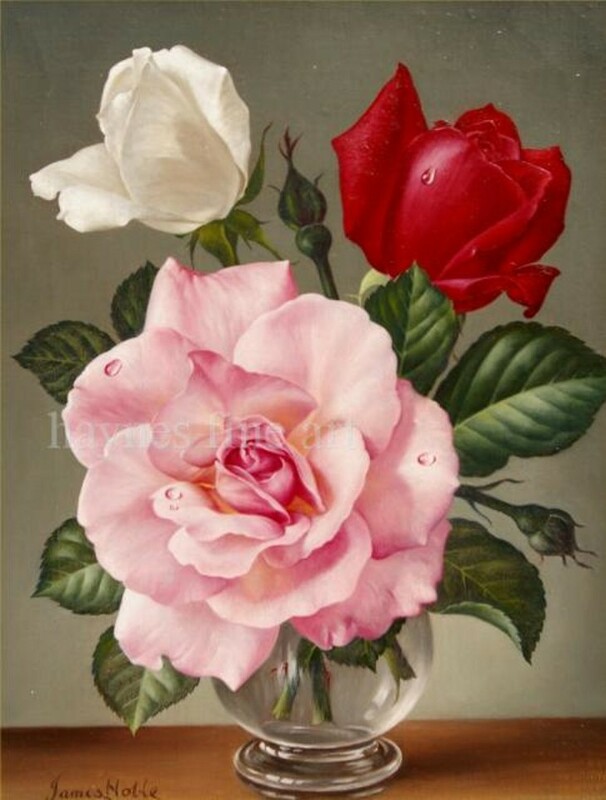 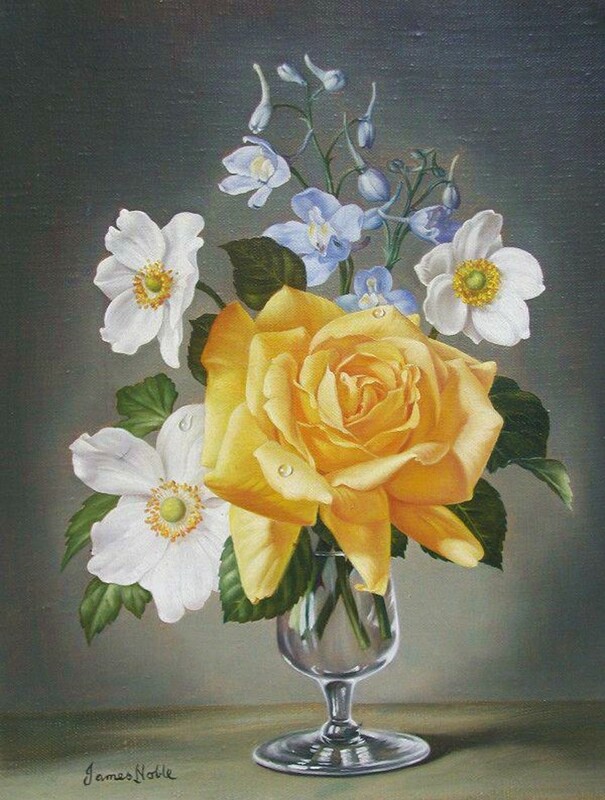 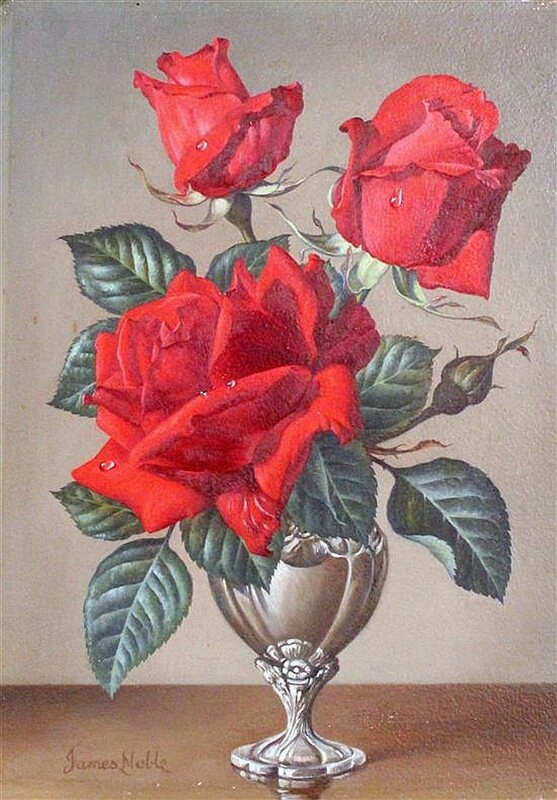 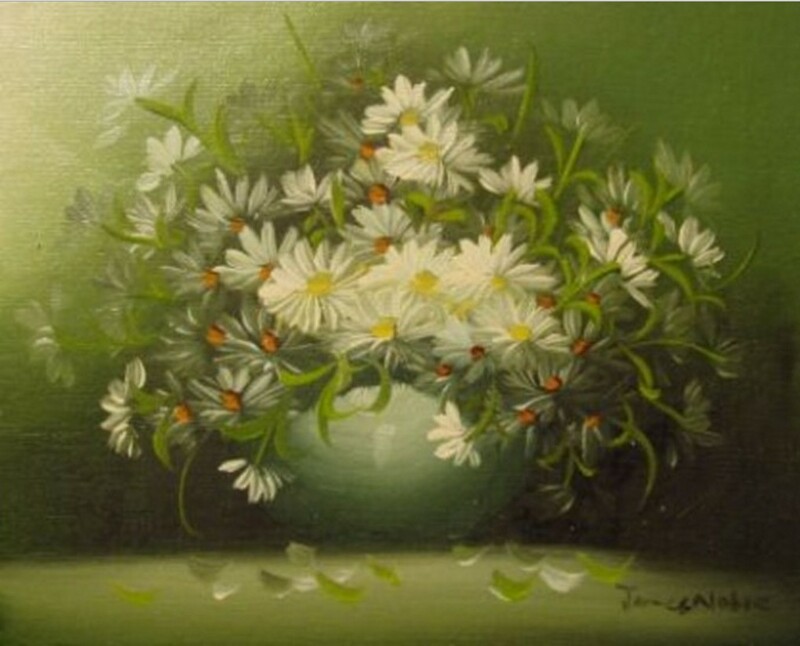 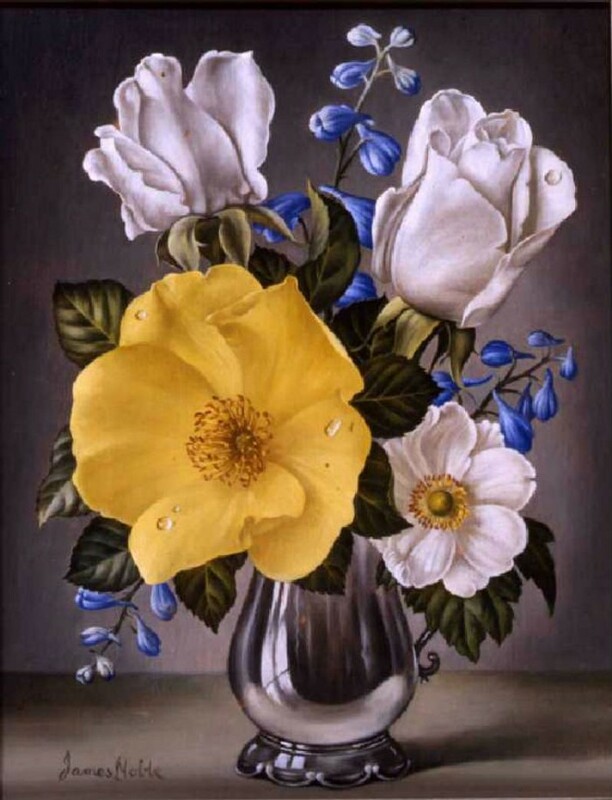 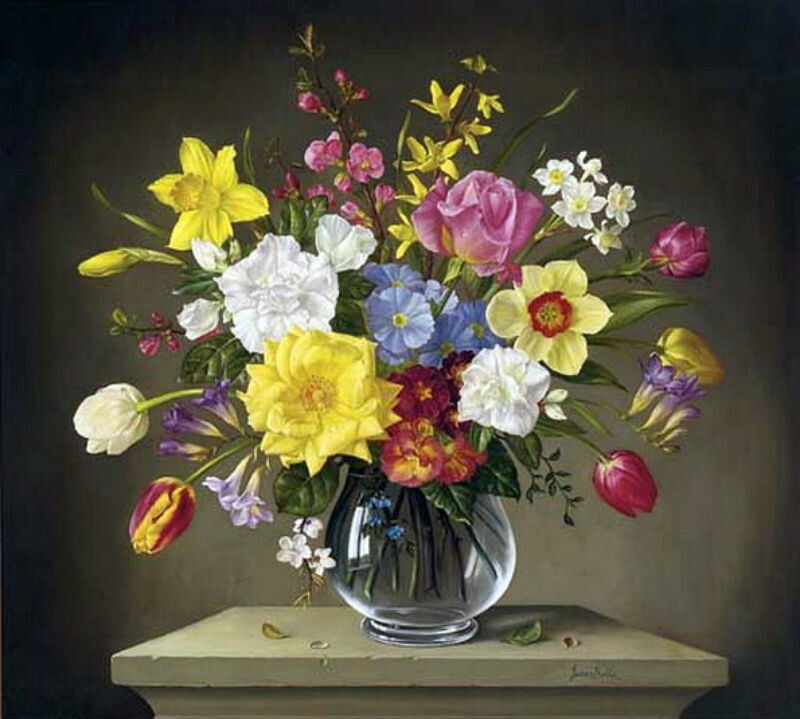 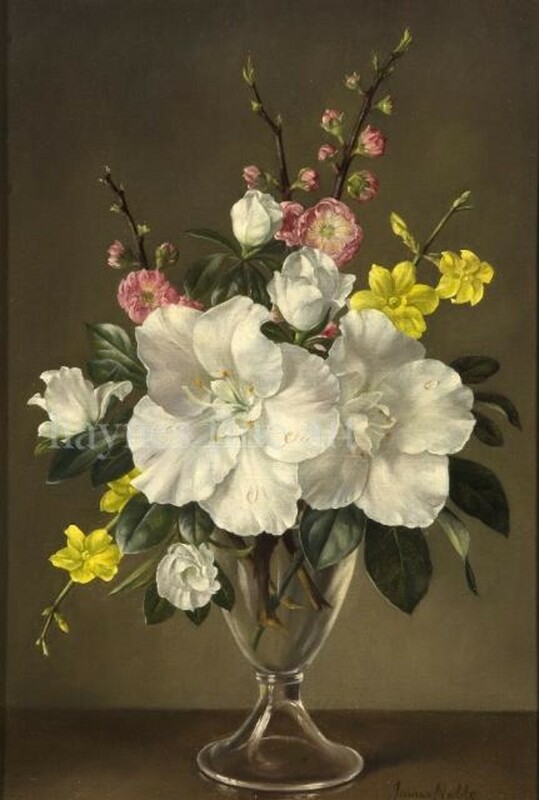 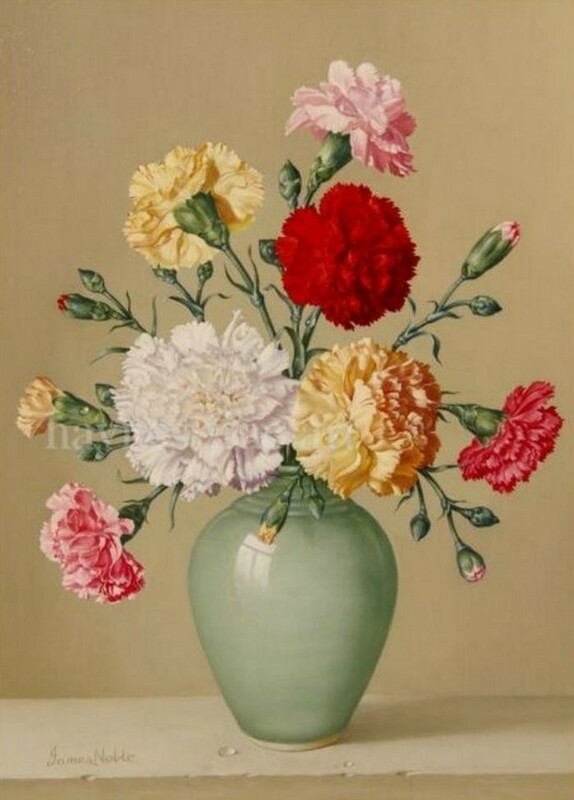 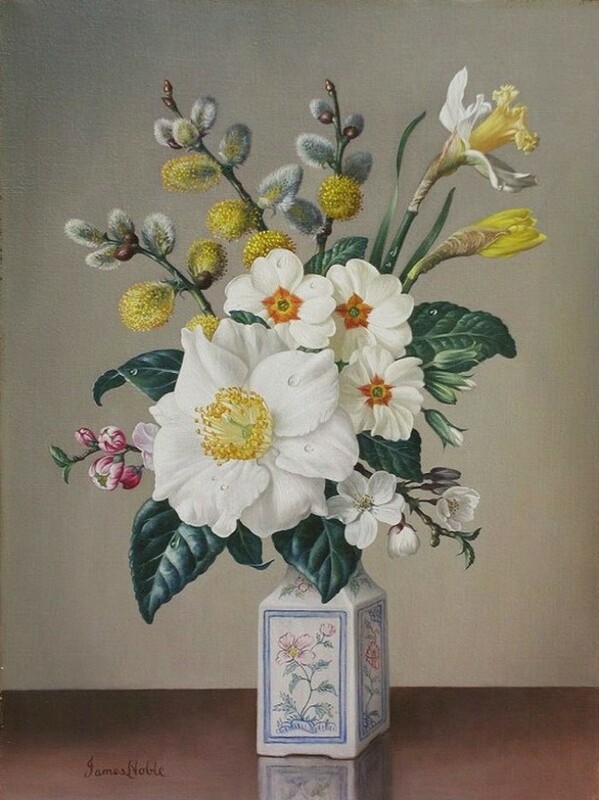 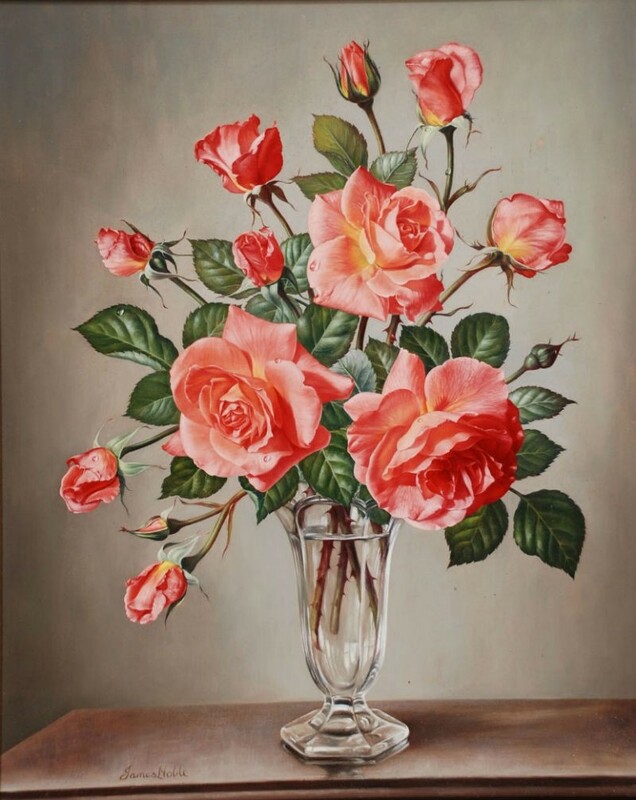 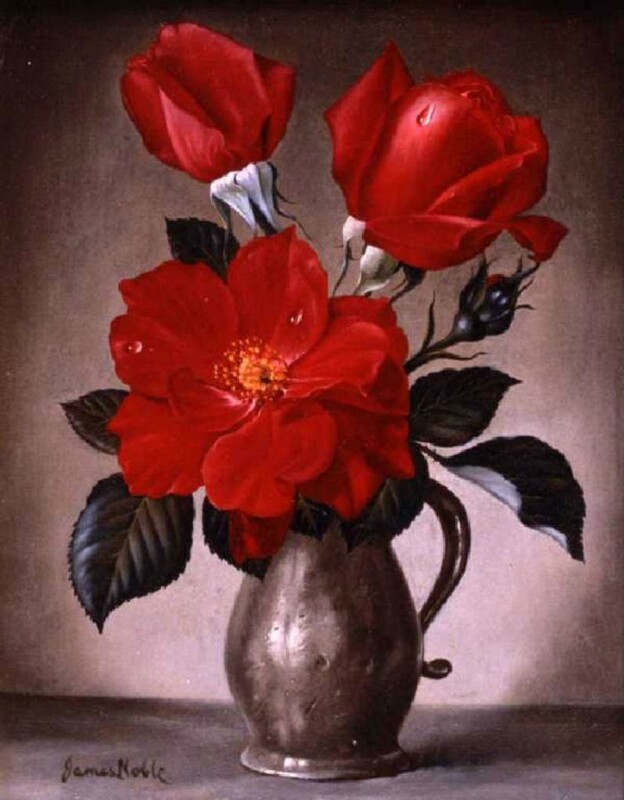 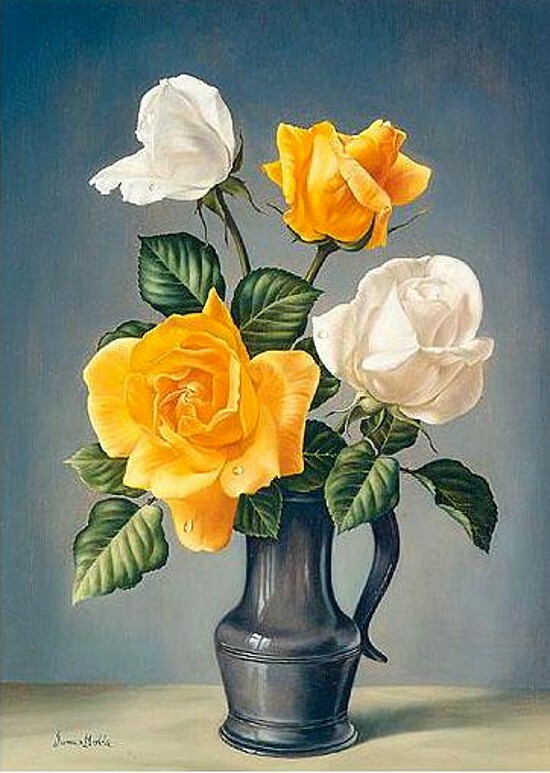 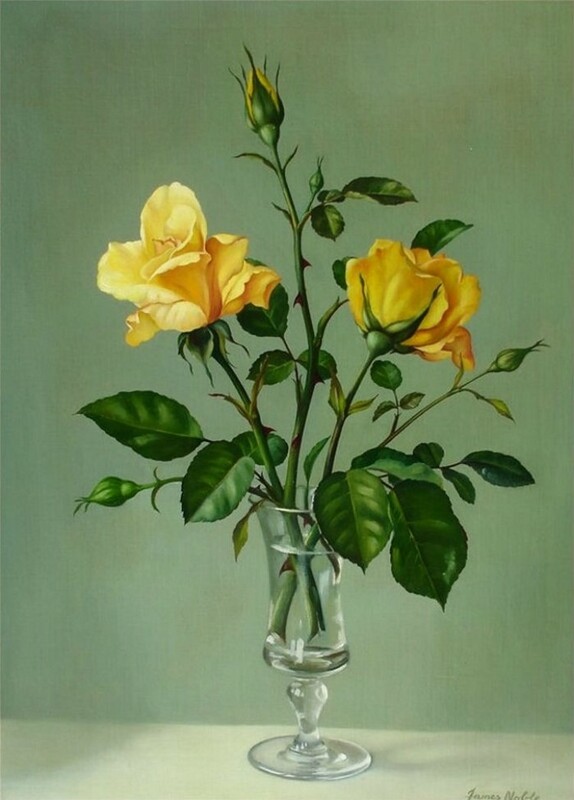 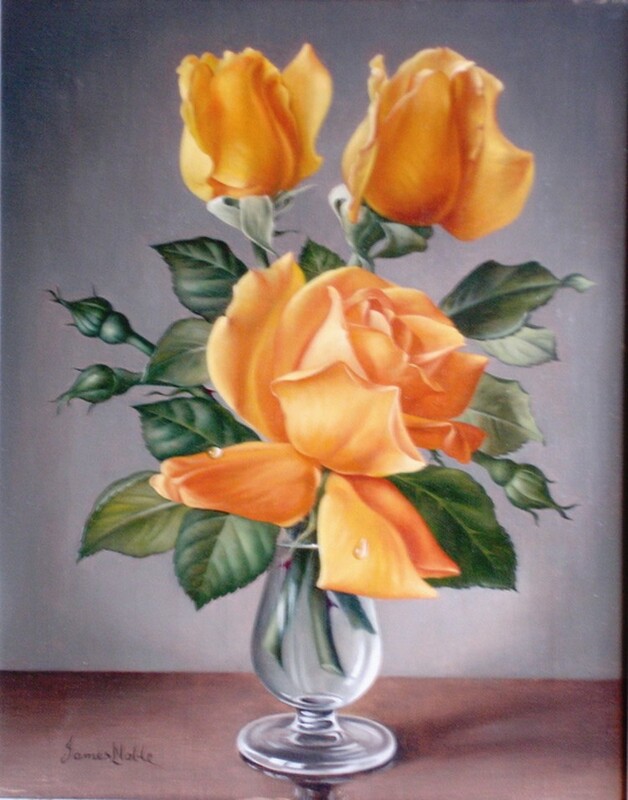 Middlesex-born flower painter who studied at the Grosvenor School of Modern Art and at the Regent Street Polytechnic. 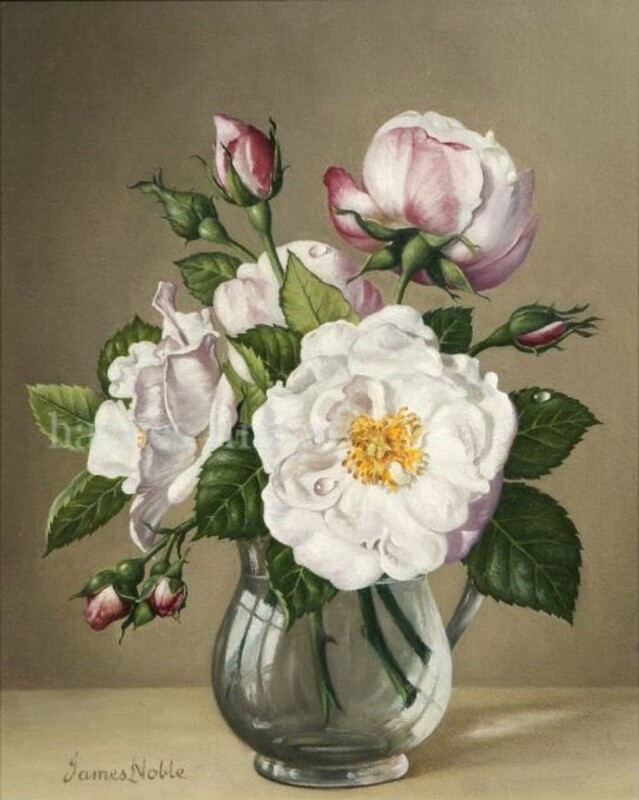 During the war he made drawings of army life and charcoal portraits of his colleagues. 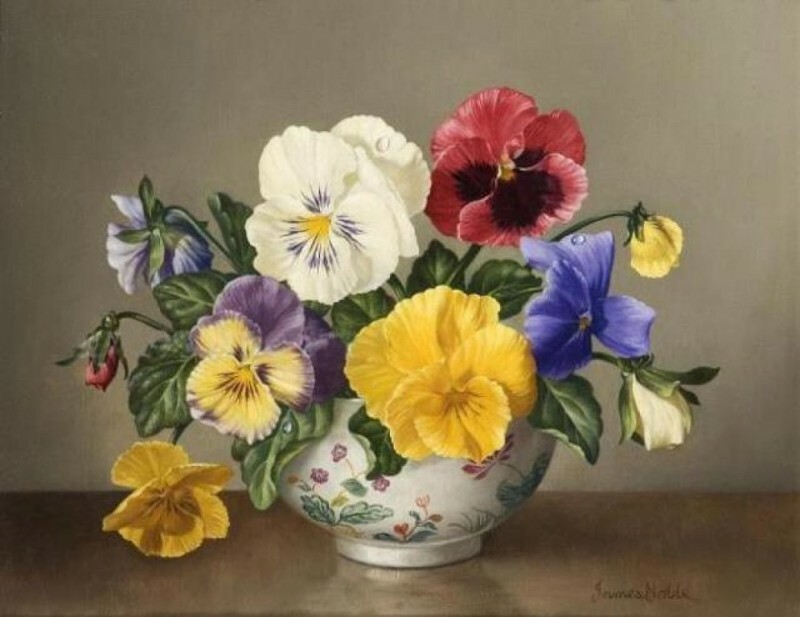 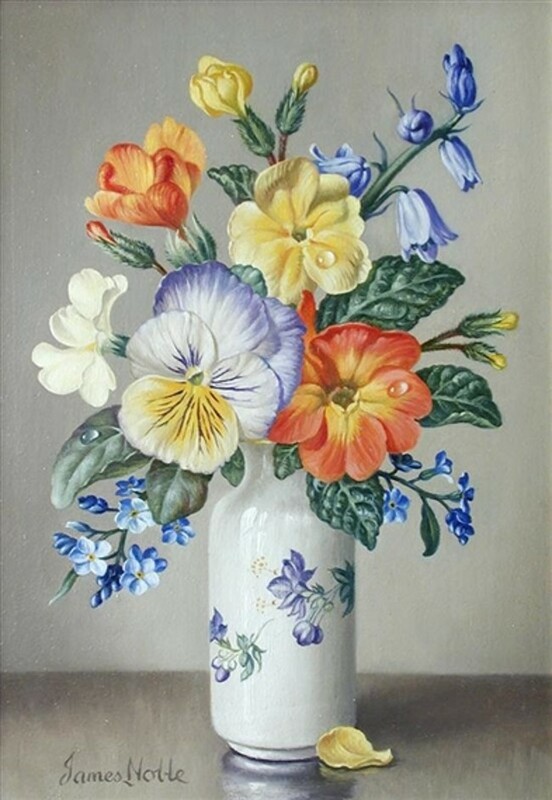 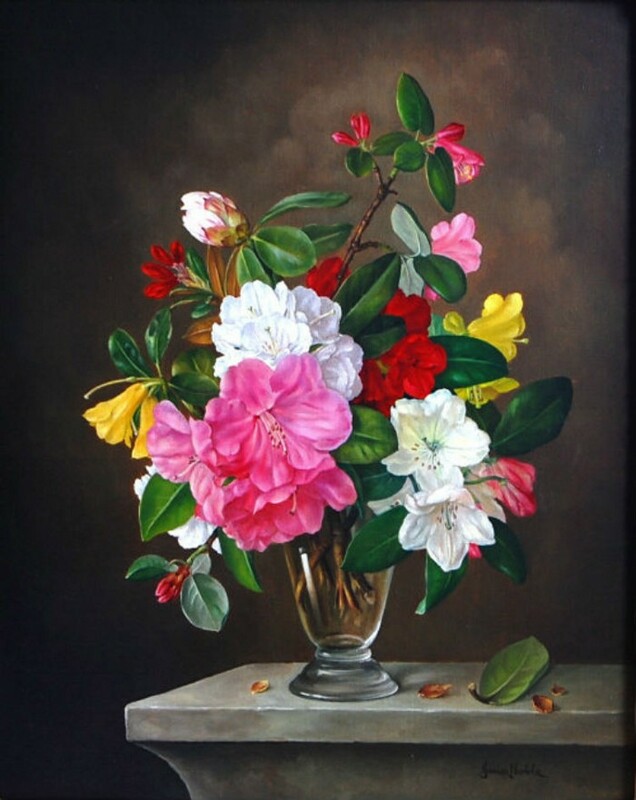 After WW2 he moved from an impressionistic style to the traditional and richly coloured style for which his flower paintings are known, inspired by Dutch Old Master flower paintings.